I have had two attempts to make baguettes--slavishly following Chad Robertsons' recipe in his Book 'Tartine Bread' I use a combination of poolish and leavan as he recommends. 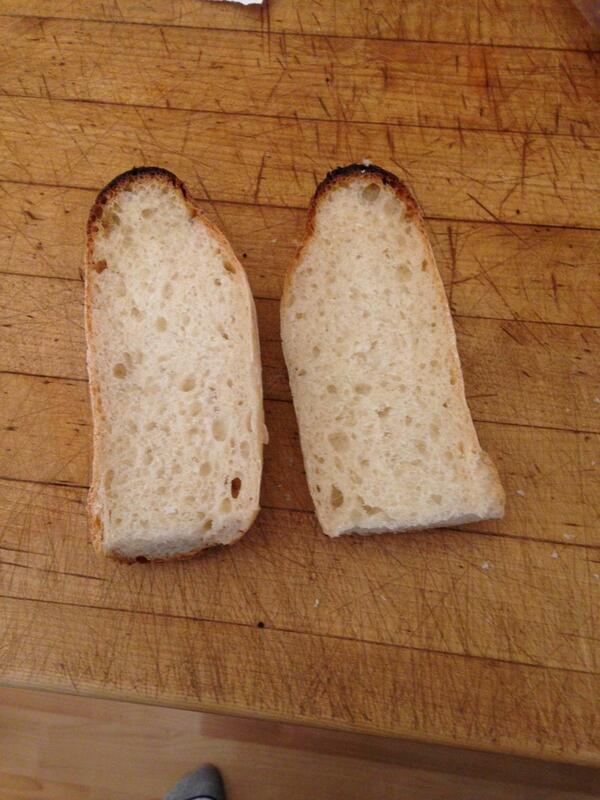 As the photos show, the result has the shape of a baguette, but none of the structure. Everything seems to go fine during the whole process, but what comes out of the oven is like the 'wonder bread' of baguettes. I am generating steam by putting wet towels on the bottom of the oven, which seems to work well. I do have trouble transferring the baguettes onto the baking stone, so a lot of steam does escape. Any and all suggestions will be gratefully received!